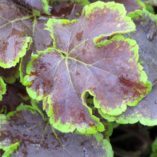 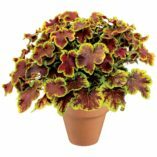 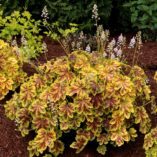 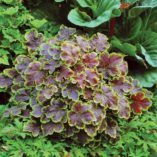 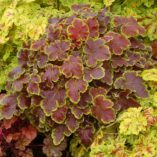 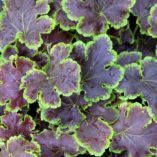 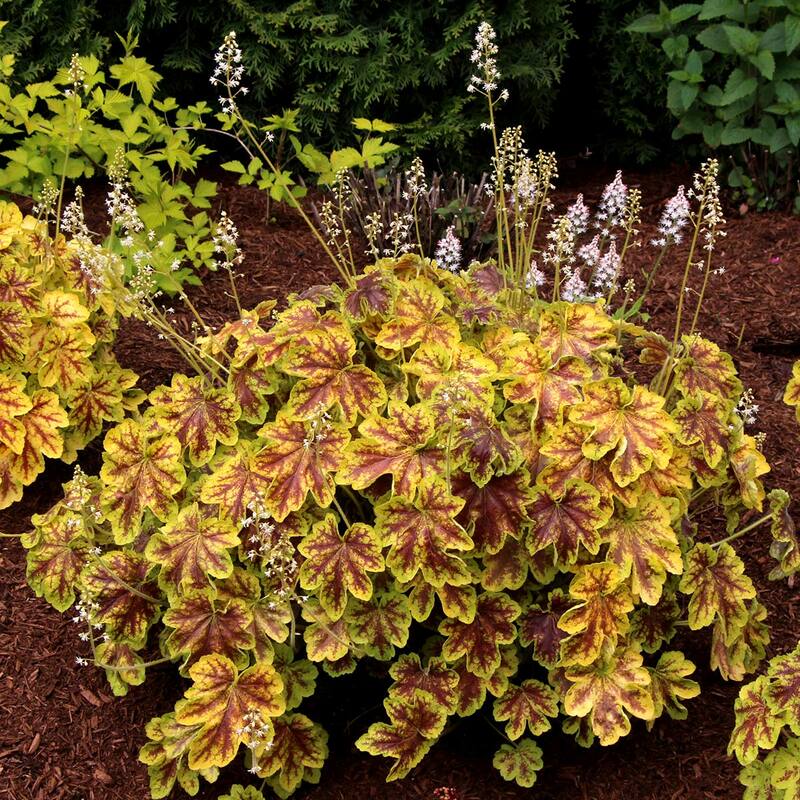 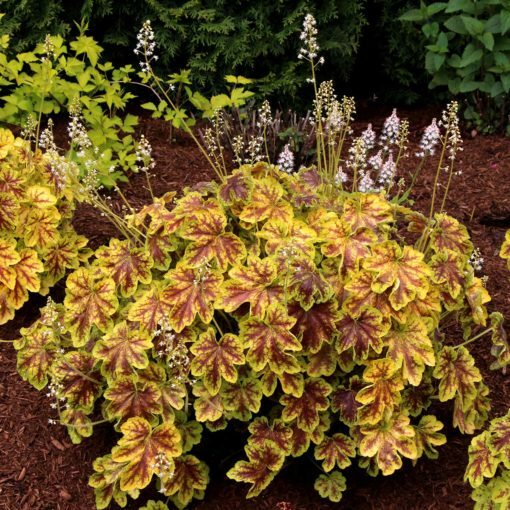 Heucherella ‘Solar Eclipse’ | TERRA NOVA® Nurseries, Inc.
Leaves of red brown bordered in lime green combined with a beautiful habit and broadly scalloped leaf lobes. 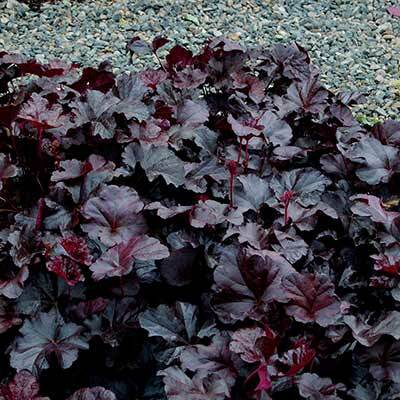 We all said “wow” when we saw 'Solar Eclipse' for the first time. 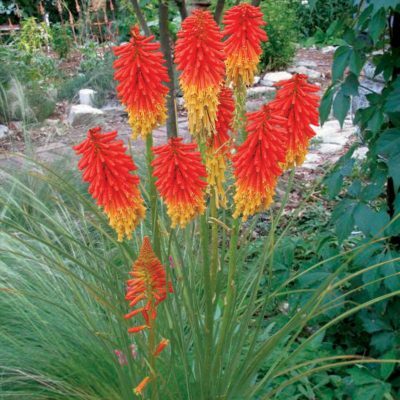 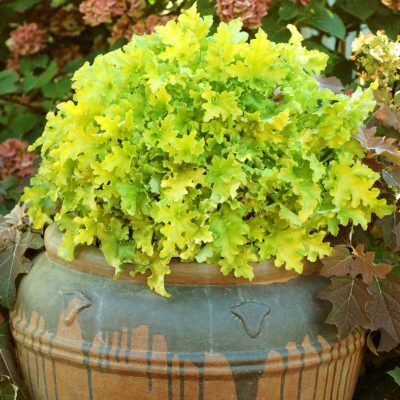 Forming a vigorous mound of dense crowns, 'Solar Eclipse' has it all! No similar Heucherella. 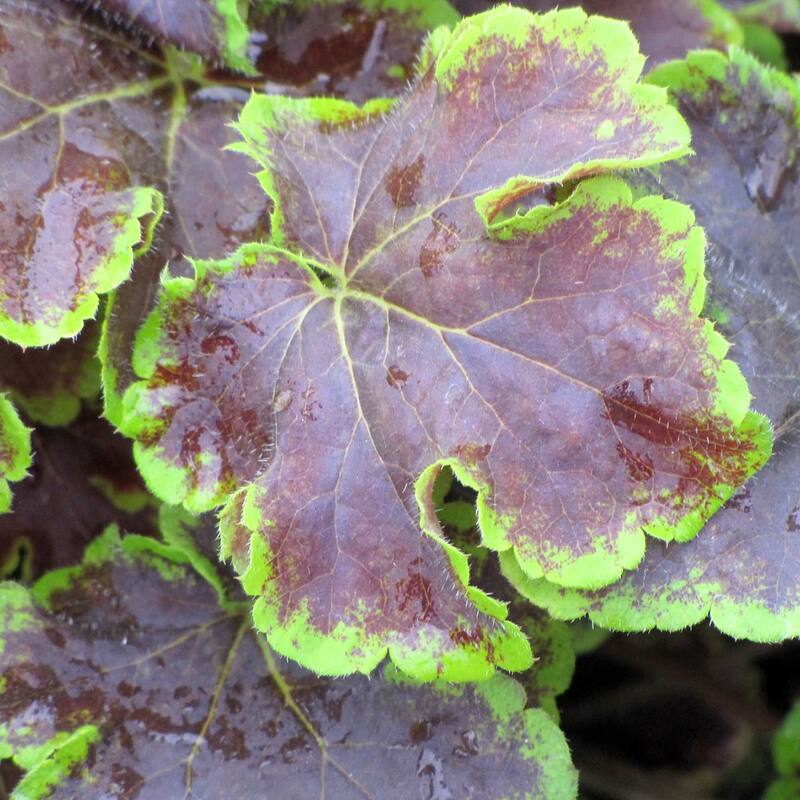 Compared to 'Solar Power', it is much more stronged marked in the center, has a better crown and thicker leaves. 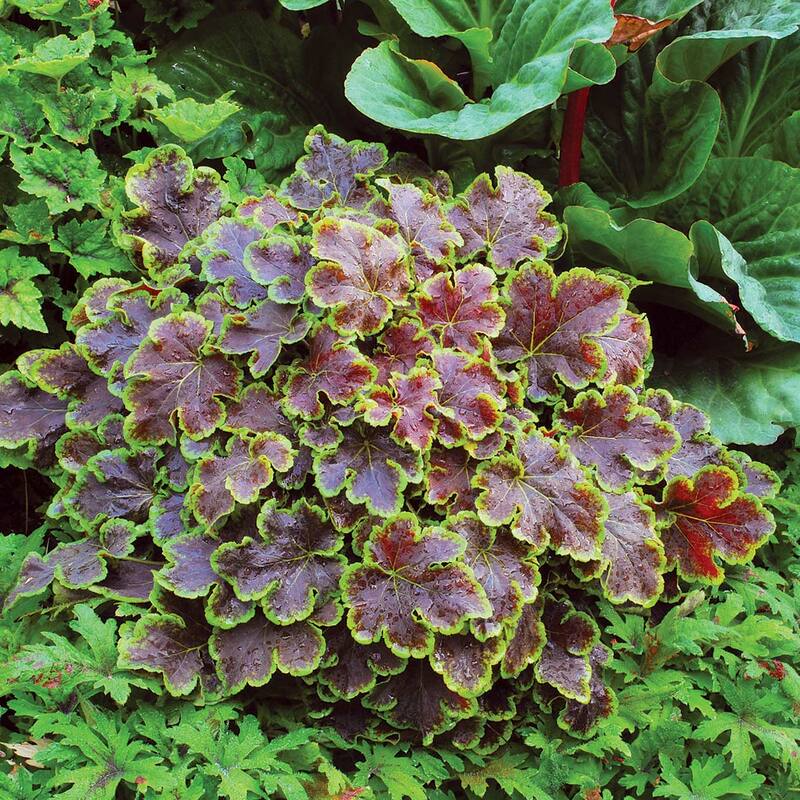 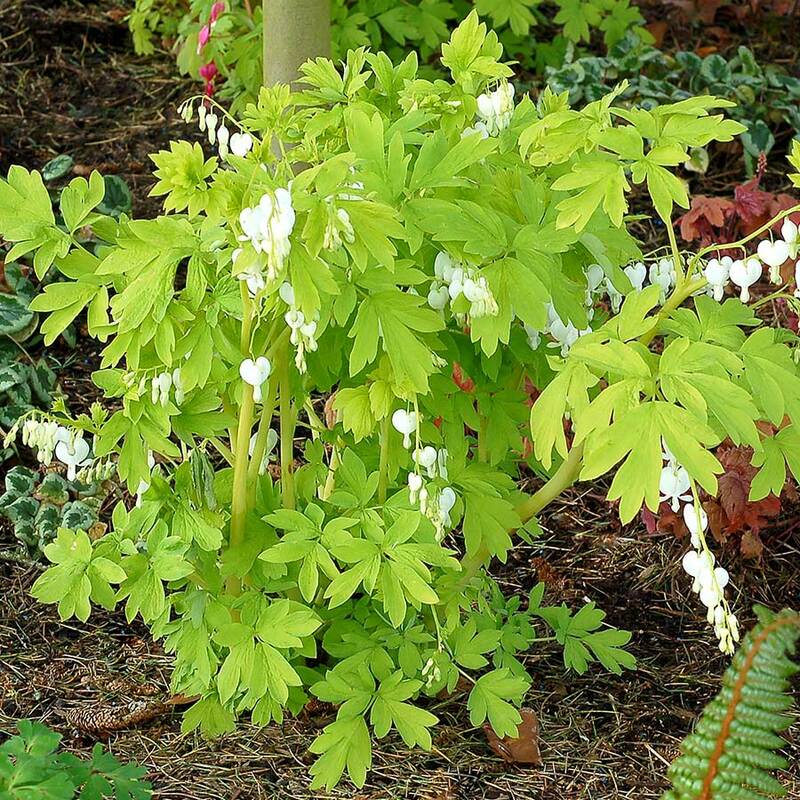 Border, shade garden, mass planting, accent or mixed containers. 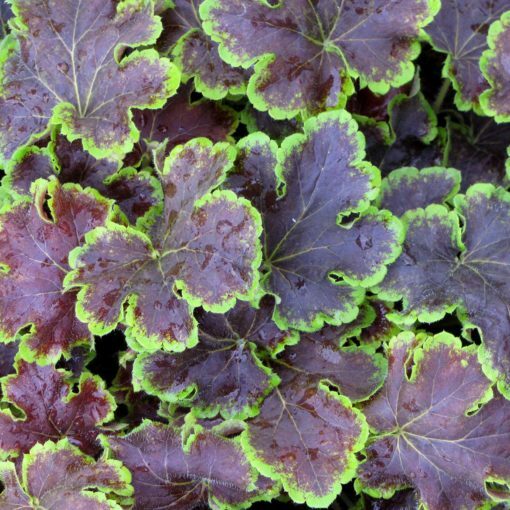 Looks like the best photo you ever saw of Heuchera 'Miracle', but with the color lasting year round on a vigorous plant! 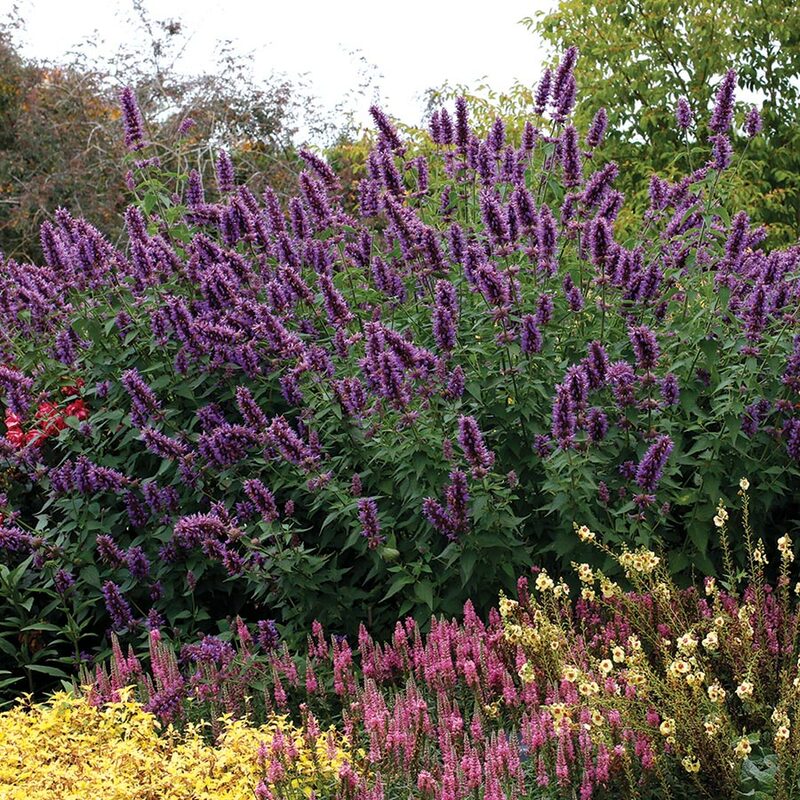 Excellent ratings and survival at Colorado State Perennial Trials 2013.